In cold weather, the weather outside requires a proper outerwear. A very good solution is a Parka coat. An anorak or a Parka is a fitted jacket with hood, made of cotton, lined with natural or artificial fur. Inuit people have created this type of clothing, tailored at the beginning from sealskin or reindeer, in order to protect from the cold and arctic wind. Some of the clothes were covered in fish oil regularly to maintain tightness. 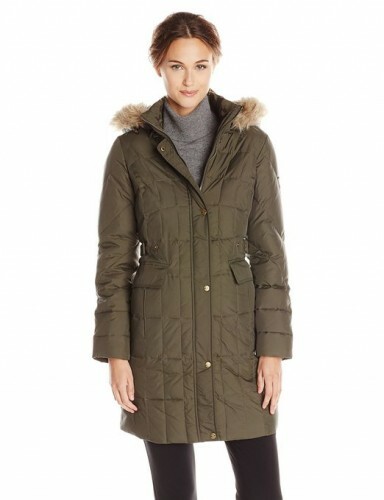 Somehow the two words, while overlapped, but “anorak” is a garment that has no opening at the front, has a hood and is waterproof, and a “parka” is a cold weather jacket, knee-length lined with synthetic fibers with or without a hood bordered with fur. The word “parka” is derived from the Nenets language (a population from northern Russia) and means simply “animal skin”. He first entered in the English vocabulary in 1625, brought by Samual Purchas, a cleric who has published notes of several travelers. Parka nonconformist style does nothing but bring a fresh vibe to your image. Complete various from your outfits with this kind of coat. Feminine dress outfits will not ever go out of style, so do not be afraid that they will ever get out of fashion designers preferences. If you thought that only a fur coat or a coat might supplement a balanced outfit, this is not so. Be creative and imagine outfit combinations containing a parka.